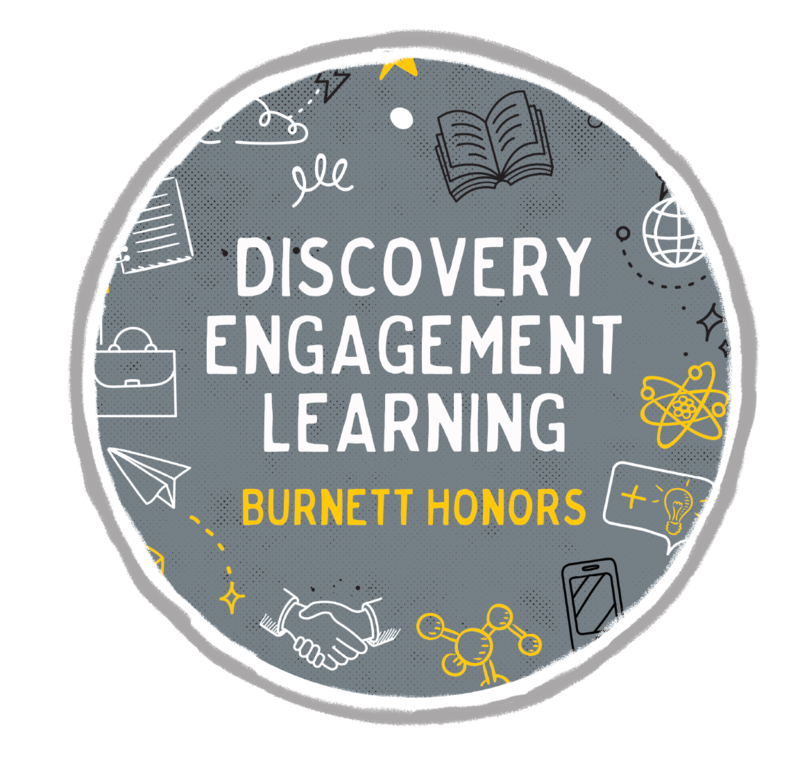 As dean of the Burnett Honors College (BHC), I’m thrilled to share with you details on the Class of 2022 Burnett Honors Scholars, as well as our exciting new initiatives in development. Who are Burnett Honors Scholars? All current students and alumni of the Burnett Honors College. This year, we welcomed a stellar class of incoming students from all over the country. Our students and their tenacity for learning and action are what make us a top-ranked honors college and repeatedly one of the best honors experiences in Florida. The BHC fosters an environment of academic excellence and intellectual inquiry. Honors in the Major is proud to share that it has over 300 active participants this year. We are also proud to announce 45 prestigious award winners from the BHC, including Goldwater, Fulbright, Astronaut, Frost, Gilman, Boren and NSF Graduate Fellowships. 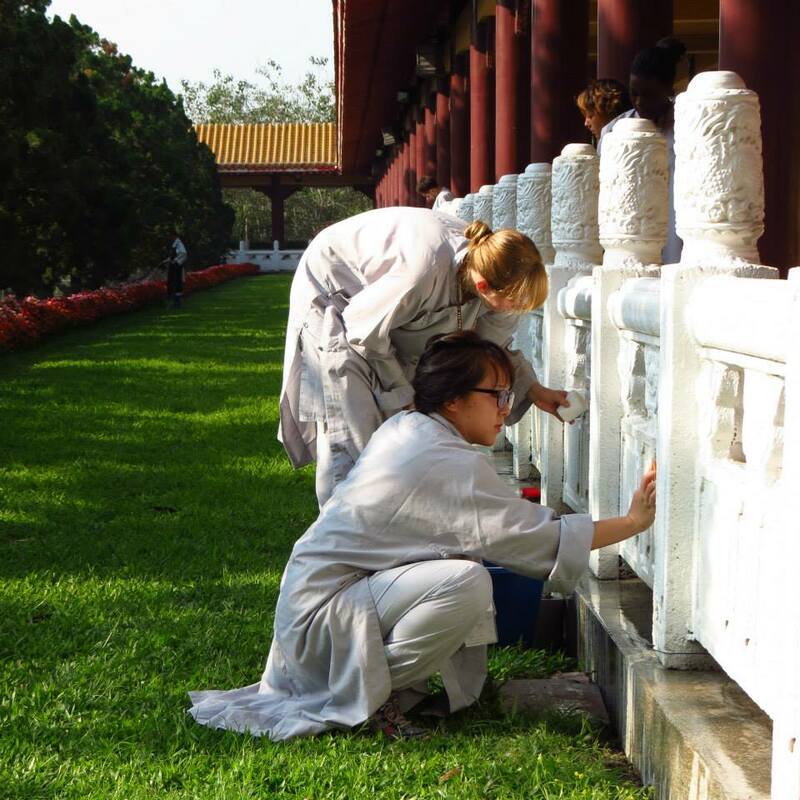 We encourage our students to engage in learning outside of the classroom through international service learning. Through our study abroad programs, BHC scholars can experience new cultures and develop a sense of global awareness. Honors Research: Our students have diverse interests, so they should have a wide range of opportunities for their research efforts. Expanding upon traditional thesis projects, we are looking for new avenues for students to pursue creative projects that better suit their research subject matter. Demani Barnes is a current Honors in the Major student, studying the affects of exercise and sleep on children with Autism Spectrum Disorder (ASD). Check out his full story in the video! A partnership with a major foundation in the Orlando area to provide internship experiences for BHC Scholars in grant-writing, data management or social media strategy for non-profits. BHC Scholars will have opportunities to meet directly with potential employers in smaller group settings than traditional job fairs open to all students. A second entry point for the University Honors (UH) program. High achieving UCF students may enter the UH program at the beginning of their sophomore year. A collaboration with the College of Graduate Studies and the Office of Student Financial Assistance, to help fund graduate course enrollment for BHC Scholars to provide the opportunity to work towards an accelerated master’s degree during their undergraduate career. A national award wall in the student union to recognize current students and alumni who are prestigious award winners. Community is the foundation of the BHC. It is community that makes the BHC special for the students and UCF. We have been working with the BHC student organization, Honors Congress, to promote engagement that fosters a deeper sense of community. Through our renewed focus on student programming and social media, we have increased our digital presence to tell our story and show the impact the BHC has on student success. We encourage you to follow us on Instagram or Facebook. Additionally, students are encouraged to build a LinkedIn profile and connect with me to form connections for future success. I ask you to think about ways in which you can be a part of our community and foster the success of BHC Scholars. Whether it be through sharing internship or job opportunities, accepting an invitation to speak to students, being a mentor, sharing your story, encouraging other bright students to join the BHC, and/or providing funding for the our programs and initiatives – we want you to be part of what we are creating! 100% of giving for scholarships goes directly to the students in supporting study abroad, undergraduate research, internships and other student programs. Scholarships make it possible for BHC Scholars to add depth to their classroom education. 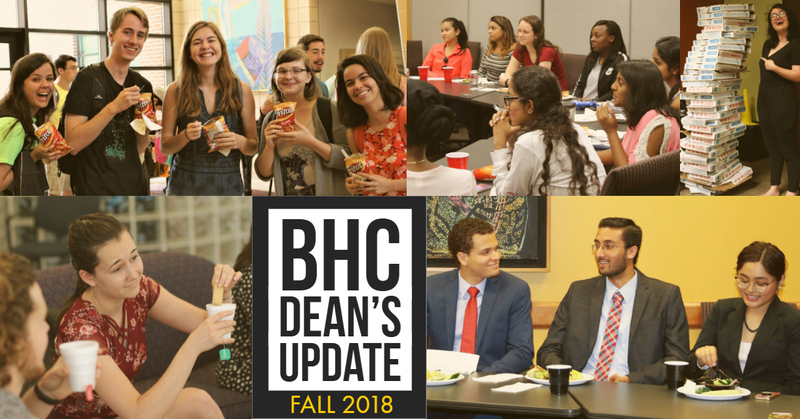 The BHC Dean’s Excellence Fund impacts the student through events like Monday Morning Breakfast, speaker series such as Lunch with Legends, How-To Workshops, networking events, and information sessions all designed to enrich the BHC experience. Our focus is on engagement and student success. Help us create a unified community and network on which to build and grow. Should you be so inclined to give to enrich the experiences of BHC student, please visit our website.